Elisabeth here. 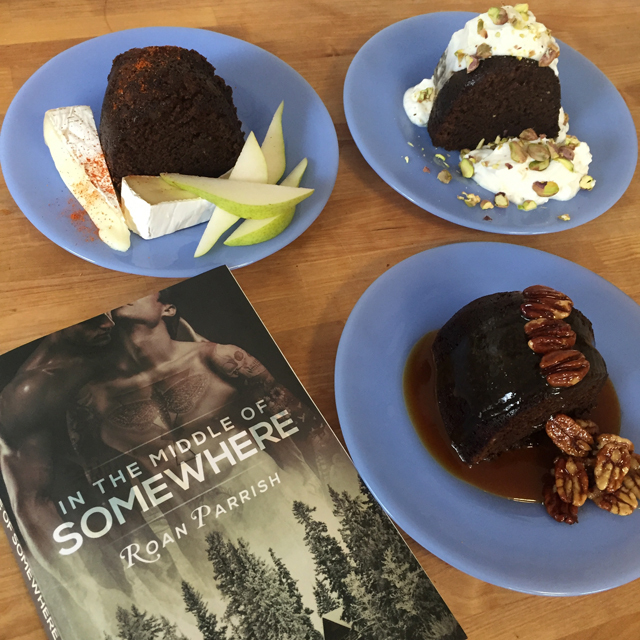 Today I’m pleased to welcome queer romance writer Roan Parrish to Cooking Up Romance. I don’t have a lot of guest posters, but Roan takes such great foodie Instagram pictures and there’s so much food in her current release, In the Middle of Somewhere, that I just had to ask her to make something for the blog. I’m sure you’ll love this gingerbread. Take it away, Roan! I’m doubly excited to be here on Cooking Up Romance, then, because it means I get to geek out about food the way Rex would! In the Middle of Somewhere is a romance that unfolds between Daniel, a snarky professor from Philadelphia who’s recently moved to small-town Michigan, and Rex, a quiet carpenter who’s made a home for himself in a cabin outside of town. They’re drawn to each other right away, but Daniel is used to taking care of himself and Rex struggles to make Daniel understand how he feels. It’s a major source of tension, though, because Daniel’s grown up believing that accepting help is a weakness. Cooking appeals to Rex because it’s both creative and practical. It encourages total focus but also creates a space for zoning out. But cooking is also an escape for Rex. A way for him to blot out everything but what he’s making with his hands. And in a few tense moments in In the Middle of Somewhere, it’s what he turns to try and get away. “‘Gingerbread?’ he asks. And just like that, it seems the topic is closed. I nod, dazedly, and follow him to the kitchen. He hoists me up onto the counter and kisses me silly. ‘Daniel,’ he says, ‘the things you say sometimes. You kill me.’ He kisses me and it’s hot and sweet, flushing heat from my stomach to my throat. I chase his mouth, but he pulls back to look at me. His whiskey brown eyes are warm and there’s a bit of color across his cheekbones. His lips look swollen from mine and that line between his eyebrows is a perfect crease. Rex kisses me hard and pats my cheek firmly. Then he pulls me down off the counter. ‘You wish,’ I snort, pushing my hips against his. The Daniel slathers intensity on top of intensity and garnishes it with a side of intensity. 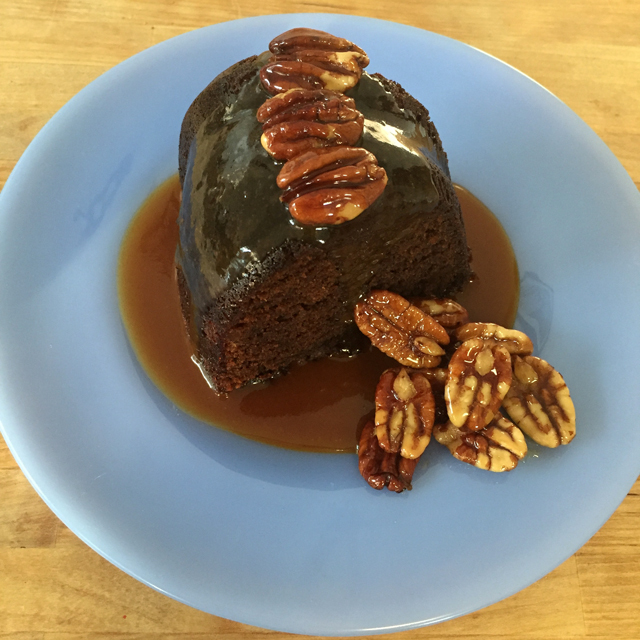 It’s gingerbread with a salted maple and whiskey caramel sauce and maple-glazed pecans. The gingerbread isn’t all that sweet in and of itself, so though the caramel sauce is certainly rich, the combination isn’t overly sugary. The Rex is a bit more reserved and bit more elevated. 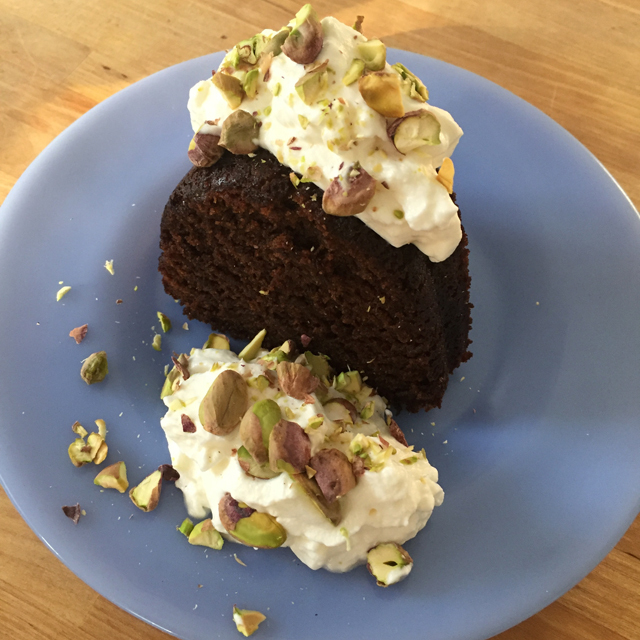 It is gingerbread topped with an elderflower whipped cream and crushed pistachios. The main things here are the contrast between the depth of flavor from the molasses and the lightness of the whipped cream. The floral quality of the elderflower brings out the brightness of the ginger. The Roan is just … you know, what I like. Which is the combination of sweet, savory, and spicy. 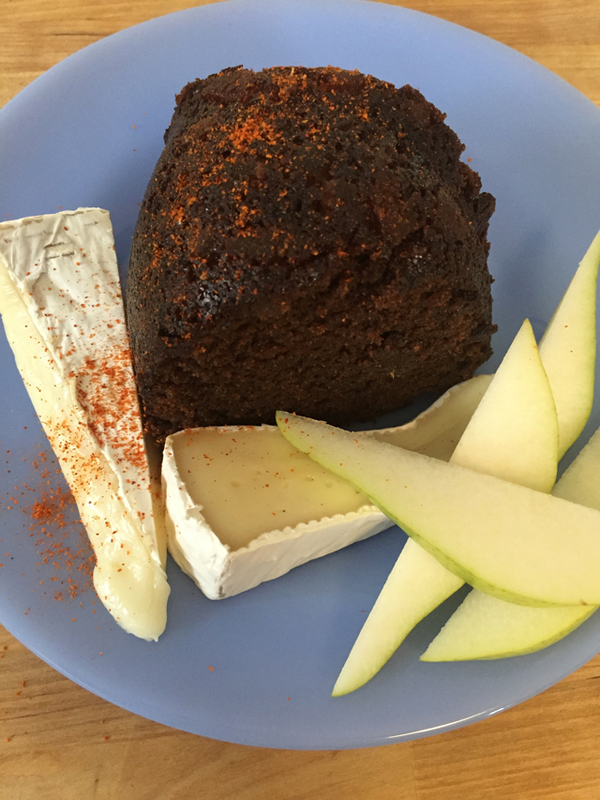 It’s gingerbread with gooey Brie, sliced pear, and a slash of cayenne pepper. Pear and ginger is one of my favorite combinations, and soft cheese with dessert is the best. The cayenne just … er, reminds you you’re alive. To be honest, I think this would be even better with a stronger cheese, like a Taleggio or a Cambozola, but Brie seemed more approachable and I didn’t want to scare you away (story of my life). I didn’t make The Leo, but you should feel free to do so at home. It would be gingerbread with chopped crystallized ginger and (of course) crumbled bacon on top. 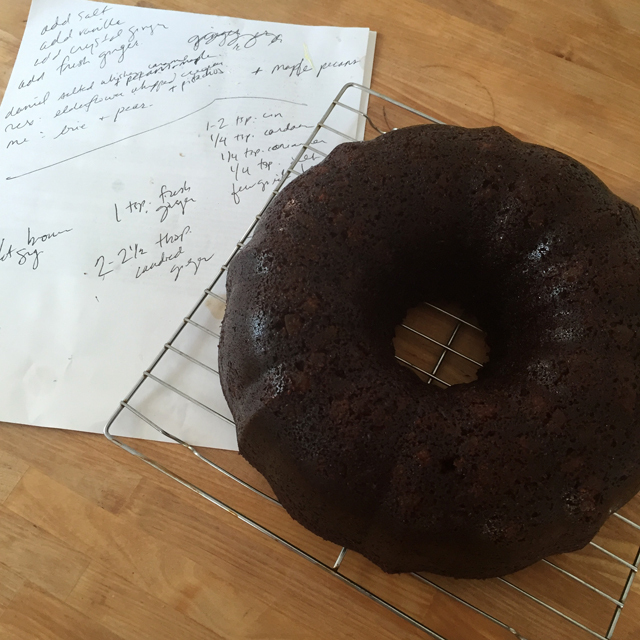 This is a hefty recipe: it makes a full-sized bundt cake or two full-sized loaves. But never fear! Gingerbread, like a curry, an impulse haircut, or a sharp humiliation, is always better the next day or the day after. And, unlike any of these, can be stored for several months in the freezer. Also, note: like Rex, I’m not much for recipes, so while you should feel free to make everything just as I describe it here there’s plenty of wiggle room for you to improvise (slash curse my inexactitude). When not writing, she can usually be found cutting her friends’ hair, wandering through whatever city she’s in while listening to torch songs and melodic death metal, or cooking overly elaborate meals. One time she may or may not have baked a six-layer chocolate cake and then thrown it out the window in a fit of pique. She loves bonfires, winter beaches, minor chord harmonies, and cheese. But mostly cheese. She can be found online at her website roanparrish.com, on Twitter and on Instagram. Oh, you can bet I bookmarked this post, because yum! Gingerbread is one of my favorite things, but only if done well, and this is done SO WELL! The idea of pairing it with elderflower whipped cream and pistachios is basically blowing my mind right now. Consider me blown. Wait, that sounded wrong. I loved this post. I can *so* relate to your words about intensity. Hope we can hook up on fb, I feel a kindred flame here.